With a growing elderly population, more families are turning to home health care services to help with the aid and medical needs of their loved ones. Many of these health service employees work for agencies responsible for salary and hourly wages, including overtime. For employees, it is important to remember the laws about wages and overtime to ensure just compensation. Sadly, a California judge’s recent decision may limit the right to overtime for home health care workers. According to reports, California will not pay overtime to home health aides who care for the state’s elderly and disabled after judge overturned a federal regulation that requires overtime. The decision is a significant setback for home healthcare workers as well as the unions that back them. Unions, workers and other advocacy groups fought aggressively in favor of the regulation and lobbied Governor Jerry Brown to include the funding package in the California budget. By refusing overtime and other benefits to home healthcare workers, the state is now positioned to save $183.6 million in the next six months and another $314.2 million in the fiscal year beginning in July. While the California budget and bottom-line may benefit, workers and their families will not be entitled to the compensation they should have access to under federal law. According to an advocate for the United Domestic Workers of American, state caregivers are often living at or below the poverty level. Home healthcare worker are a viable part of the healthcare industry, giving support to those who need it most, and yet, they are being denied basic rights to overtime wages. A representative from the Department of Social Services in California asserts that since the ruling, there are no federal regulations that demand overtime for home healthcare workers. Overtime rules that were approved by the U.S. Department of Labor that would have required overtime wages for workers was overturned by a judge in D.C. The overtime rules were created by the U.S. Department of Labor were overturned when the judge wrote that the extra 2 million to homeworkers should be an act of Congress, not the agency. The judge explained in his ruling that the regulation should not have been created by the Department, but through legislation. Of course, the Department of Labor has responded in disagreement and is considering additional avenues of legal recourse. Currently, California’s home care program, “In-Home Supportive Services,” employs approximately 400,000 workers to aid 490,000 low-income disabled and elderly persons throughout the state. 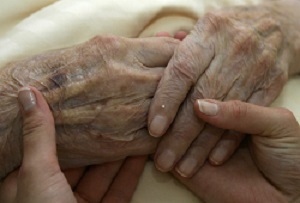 The program has proven to be cheaper than caring for individuals in 24-hour-care nursing homes. Unions that represent these workers are urging for members to be paid overtime when they are forced to work more than 40 hours per week. According to union representatives, California can still hold up its promise of overtime, regardless of the federal decision. Critics have called the state decision to deny overtime, “shameful” and there are likely to be more challenges ahead. Currently, many representatives throughout the state say they will be revising the issue. If you are a home healthcare worker employed by the state or a private agency, it is important to know your rights. Our Orange County wage and hour attorneys are dedicated to protecting the rights of employees and will review the facts of your case.